Jackson Hole/Vienna. The prestigious Jackson Hole Wildlife Film Festival has announced this year’s nominations. Terra Mater Factual Studios are proud to see six of their current productions represented with a total of 11 nominations. ’David Attenborough’s Light on Earth’, a co-production of Terra Mater Factual Studios, CuriosityStream, BBC, ABC Australia and UKTV, which has so far scored a magnificent 19 awards and 20 nominations, is amongst the top contenders in two categories at Jackson Hole. And while having all fingers crossed, the multi-awarded team behind this science documentary about bioluminescence is already busily working away on a successor: ’Ant Mountain presented by David Attenborough’ will deliver by end of this year. Another winning team may look forward to the Jackson Hole award ceremony: together with Terra Mater Factual Studios, renowned wildlife filmmakers Dereck and Beverly Joubert have produced ’Tribe versus Pride’ (nominated for ’Best Conversation Film’) and ’Soul of the Elephant’ which was co-produced with WNET NATURE (nominated for ’Best Writing’). TMFS are particularly proud to see three of their productions amongst the four final nominees in the ’Best Writing’-category. Also, ‘Wild Paris”, a co-production of French doc factory ‘Boréales’ and TMFS, made it into ‘Best Writing’ and furthermore contends for ‘Best Ecosystem’. The feature documentary ’The Ivory Game’, which previously had made it onto the Academy Awards shortlist, has been nominated in four categories: ’Best Impact Film’, ’Best Editing’, ’Best Writing’ and ‘Best Theatrical Film’. ’Brothers of the Wind’, another feature film by TMFS, has been nominated in one of the most important categories of the nature film festival: ’Best Visualization’. Counting more than 900 submissions, this year’s edition of the festival is the biggest in history. More than 150 judges screened 3,500 hours of material to elect the finalists. 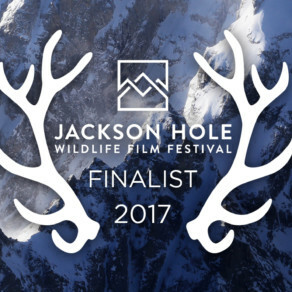 The whole natural history film industry is now eagerly looking forward to the official award ceremony on September 28th, 2017, taking place in Jackson Hole, Wyoming.